Figures 1 (left) and 2: A total of 90 vertical completions were compared for their hydrocarbon production against their volume of fluids placed and their volume of proppant placed. 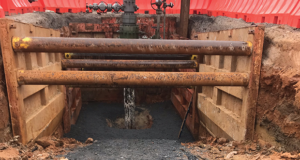 The top-performing well, Well A, was completed with waterfrac sweep treatments. The volume of fluid placed in this well was less than 50,000 bbl of water and the volume of total proppant placed was less than 200,000 lb. 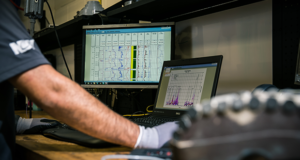 In the “COMBO” Barnett Shale, data from waterfrac sweep treatments show that pump rate and slurry volume have been the main drivers of production, rather than high sand concentrations, John Ely, founder and CEO of Ely and Associates, asserts in a paper to be presented at the 2019 SPE Hydraulic Fracturing Technology Conference, 5-7 February in The Woodlands, Texas. In terms of economic success, he also found that waterfrac sweep designs have achieved more success than either large volume sand treatments or crosslinked gel design in the COMBO Barnett. In fact, Mr Ely believes that relying on a well-designed blend of water and sand, with a few additives, can prove more economical and effective than some of the most technologically advanced solutions. Figures 3 (left) and 4: A total of 128 horizontal completions were analyzed for their hydrocarbon production against their volume of fluid placed and their volume of proppant placed. Well B had less than 3 million lb of total proppant and about 250,000 bbl of fluid placed. More than 80% of the horizontal completions recorded had more proppant placed than Well B, yet produced on average 200,000 bbl of oil equivalent less. “The data indicated that sand is required, but using huge quantities or higher concentrations, we think, is not only not economically good but, in many cases, detrimental,” he said, citing his analysis of data from more than 200 wells that were drilled over a nine-year period in the oil window of the Barnett. 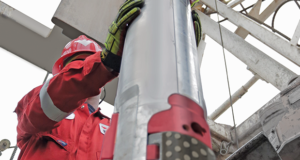 The analysis included both single-stage and multistage vertical completions and multistage horizontal wells. 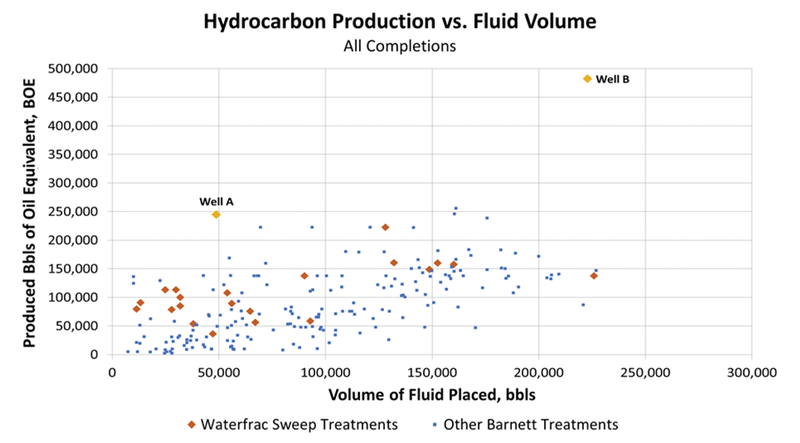 Production from wells using the waterfrac treatment method, in which low viscosity fluids like water are the main ingredient, were significantly improved over those using miscellaneous methods. 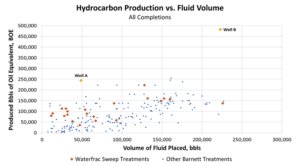 In fact, the analysis showed that the top 35% of wells completed using waterfrac sweep treatments produced an average of more than 180,000 bbl of oil equivalent. In comparison, the top 35% of wells completed using other treatments produced an average of just over 150,000 bbl of oil equivalent. Figure 5 plots the hydrocarbon production and volume of fluid placed for both horizontal and vertical completions studied. Well A has recorded over 100,000 bbl of oil, while Well B has recorded over 300,000 bbl of oil. Figures 1 and 2 show that production from vertical waterfrac sweep completions is higher than surrounding vertical offsets within an 8-mile radius. The top-performing well, Well A, was also completed with waterfrac sweep treatments. The volume of fluid placed in this well was less than 50,000 bbl of water and the volume of total proppant placed was less than 200,000 lb. To date, Well A has produced more than 100,000 bbl of oil and more than a half-billion cu ft of gas. Figures 3 and 4 illustrate performance of the horizontal completions in the same field. Well B had less than 3 million lb of total proppant and about 250,000 bbl of fluid placed. More than 80% of the horizontal completions recorded here had more proppant placed than the top-performing well, yet produced on average 200,000 bbl of oil equivalent less. Well B has so far produced more than 300,000 bbl of oil and nearly 1 billion cu ft of gas.